A core element of SAARC philosophy is to recognize literacy as a fundamental human right. The SAARC pioneers recognized literacy as the pathway to wlifelong learning, which is part and parcel of social and human development. This, in turn, has the capacity to transform the mundane human life. Since its inceptions, the SAARC leader states paid special attention to improving education in the South Asian region. They launched several missives to enhance literacy. However, literacy was not to be fulfilled through rudimentary training alone. It required the vigour of edutainment, the combination of education and entertainment. That’s where culture chips in, and then the SAARC Cultural Centre was established with branches across the member states of the Cooperation. At the Second SAARC Summit held in Bangalore in 1986, the Heads of Member States identified the significance of the increasing involvement of the people for ensuring the success of regional cooperation. The Member States emphasized the need for promoting greater contacts among the peoples of the region through such action as the regular and frequent interchange of scholars, academics, artists, authors, professionals and businessmen as well as facilitation of tourism. 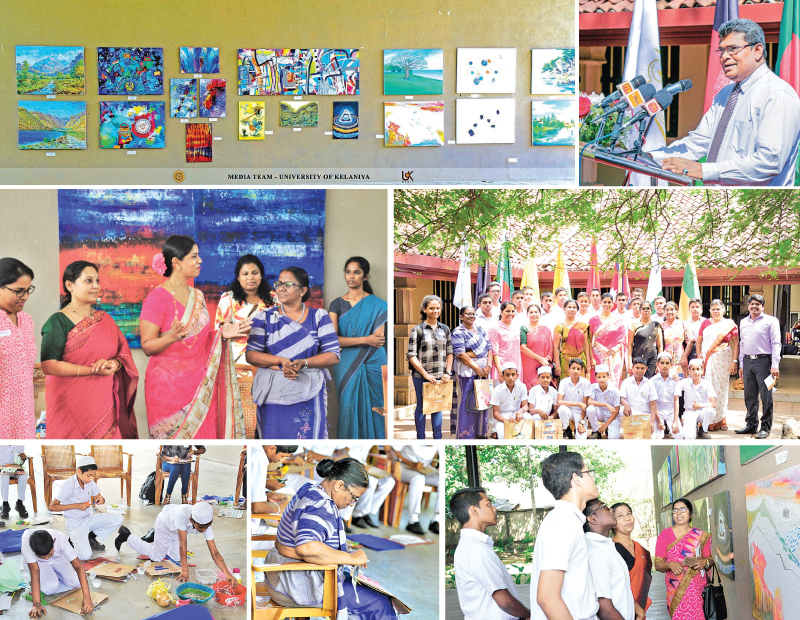 The Sri Lankan edition of SAARC Cultural Centre recently held an exhibition of paintings with the aim of showcasing, celebrating and sharing the inherent talent and diversity of the SAARC region. 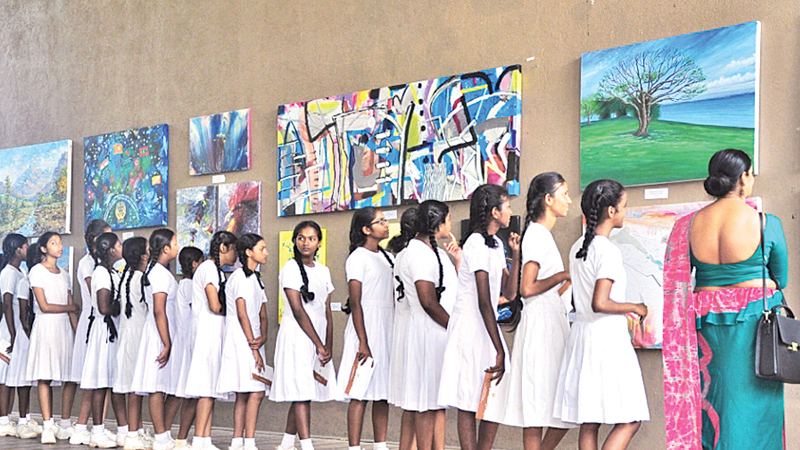 The SAARC Cultural Centre joined hands with the University of Kelaniya to organize the exhibition. The exhibition housed the works of art produced by the painters strewn across the region: Afghanistan, Bangladesh, Bhutan, India, Maldives, Nepal, Pakistan and Sri Lanka. It also showcased the artworks produced at the past camps. The exposition also provided young children with the opportunity to explore the field of painting as a medium of self-expression. The lectures, discussions and workshops centred around painting as a subject offered ample insights. The painting and art workshop on creative and expressive art therapy conducted for senior art students sitting for O-L and A-L. It is an expression of individual and national culture, taste, and pride and showcases the national artistic talents and creative visions of representatives from the eight SAARC Member States. Young and mature, traditional and contemporary, male and female, famous and undiscovered, these pulsating and energetic painters had the platform to allow their creative inspirations to flourish amongst the beauties of nature in varying host Member States and paint under the guidance of modern-day masters in the beautiful and conducive surroundings of numerous SAARC Artists Camps which have taken place since 2011 in the various SAARC Member States. The Paintings predominantly displayed at the SAARC Exhibition of Paintings 2019, will be works of art created by artists during the latest programme held in Sri Lanka last year with a selection of other artworks from the collection of paintings in the custody of the SAARC Cultural Centre. The SAARC Cultural Centre also organised additional activities concurrently with the exhibition to enhance the viewing pleasure, understanding of art and to encourage particularly young people to pursue the exploration of art and paintings. Kelaniya University Vice Chancellor Professor DM Semasinghe graced the exhibition as the Chief Guest. Also in attendance were Deputy Vice Chancellor Senior Professor Lakshman Seneviratne, Humanities Faculty Dean Professor Patrick Ratnayake, Science Faculty Dean Professor BM Jayawardena, Arts Council Chairman Senior Professor Ariyarathne Athugala, Research Council Chairman Senior Professor NP Sunil Chandra, SAARC Cultural Centre Director DKR Ekanayake, SAARC Cultural Center Deputy Director Kishani Jayasinghe, Director of Cultural Affairs- Embassy of Pakistan Intisar Ahmad Sulehry, First Secretary- Embassy of Nepal, Dhana Kumari Joshi, Prof. P.B. Mandawala, Dr. Manoranjan Dias, ambassadors and other officers representing the eight member states, academic staff members, school teachers and students. * To promote regional unity through the medium of Art. * Artists from the South Asian Region. * Preserve, Conserve and protect South Asia’s Culture through Art. * Showcasing unique talents of the Artists of the SAARC Member States. * Sharing the knowledge, skills and experiences of Artists in the SAARC Region. * Promoting regional unity through Cultural Integration. * Encouraging people (especially young children) to explore the field of painting as a medium of self-expression.